Sheer Arc Rain waterfalls provide streams of water that project up at 45 degrees and then naturally arcs and descends to the pool surface. 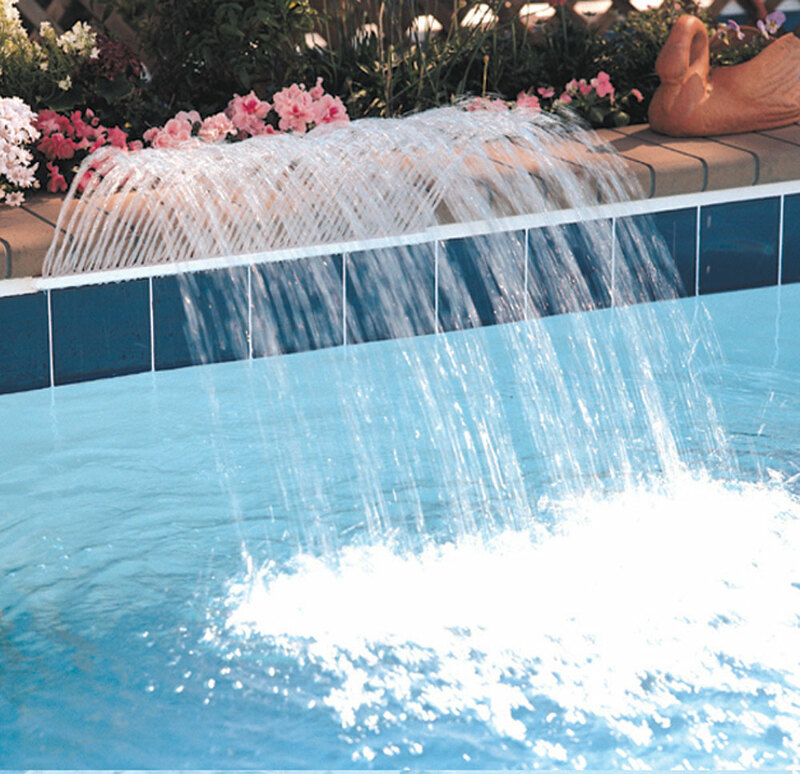 Sheer Arc Rain waterfalls can be positioned just above the waterline—no raised bond beam is required—making it perfect for vinyl liner pools. The fall projects up from the unit at a 45° angle and then naturally arcs and descends to the pool surface. Sheer Arc Rain Waterfalls come with clear nozzles only.